When food people (aka “feoples” — a term coined by my friend Emily Anderson of The Broccoli Stalker) have dinner parties, nothing is ever simple. Take, for example, the dinner date we had this week at our place with our friends. I thought ahead: I prepared and froze our gnocchi a few days before the dinner, made tuille dough and rosemary simple syrup the night before and started the pork ragout simmering in the slow cooker early in the day. I could have just used dried pasta and purchased cookies or a pound cake, but why make things easy when you can challenge yourself (and your pots and pans and guests), right? Instead, the gnocchi had to be sautéed right before eating, the sabayon frothed and foamed and for entertainment…well, a friendly cocktail competition, naturally!! 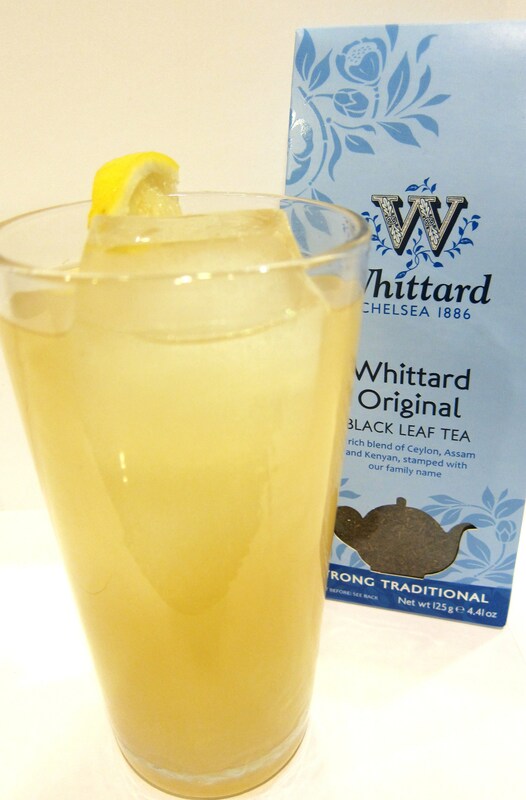 We left the cocktail creations to the boys, but the ladies chose the secret ingredient — a bag of Whittard tea that was sitting on the counter (the gentlemen chose black tea). The good people at Whittard sent me a bit of tea and some 70 percent hot chocolate that has now become my favorite thing ever. Our choice of tea as ingredient was met with immediate groans and the turning of brain gears could be heard throughout the house. They shouldn’t have worried, they both managed to create *amazing* cocktails. Put the first five ingredients into a cocktail shaker with ice. Shake vigorously. 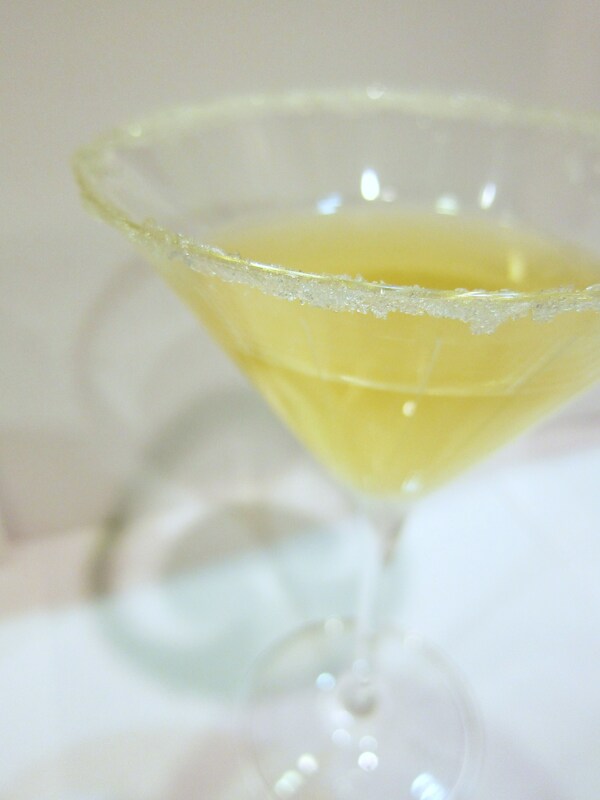 Lightly wet the rim of a martini glass and dip rim into sugar. Pour contents of the shaker through the shaker filter carefully into the glass. Top off with ginger beer. Enjoy! Stir the tea, honey, limoncello (if using) and fresh lemon together in a highball glass until honey has dissolved. Add the whiskey, then ice to almost fill the glass. Add the lemonade, top with the ginger beer and garnish with a lemon slice. Enjoy! And enjoy we did — both of the cocktails. The Elderflower Sake “tea”ni was sweet, bright and lovely and the Hard Ginger Palmer was dusky, but sprightly with lemon and ginger. As I’ve mentioned, we never endorse products we don’t actually use. Neither of us drink coffee. In fact, my friend Adine had to show me the proper way to use a coffee maker on this very night. I can spatchcock and sous vide squab, but I’ve never been able to master a cup of coffee. It is my foodie shame. Because I’m not into coffee, I’m really picky about tea — I either really like it or hate it and there aren’t many types I really like. Who knew the British were so talented with tea?!? Okay … everyone knows that, but I’m happy Whittard sent me a sample to prove it. It’s a festive time of year. Take your inspiration from K and Adam and use tea in your cocktails — it adds a bit of bitterness and a unique flavor. Experiment! Have fun! Cheers! Great timing. I have just been experimenting in preparation for guests coming sometime… we don’t know when yet. These look fun!